I’m going to admit it. Funfetti cookies were not my first choice of things to bake. I had a vision of watermelon cupcakes, or maybe lime cupcakes with mint frosting. Someday, those cupcakes will be made! It’s up to you guys, my dear readers, to remind me 🙂 . 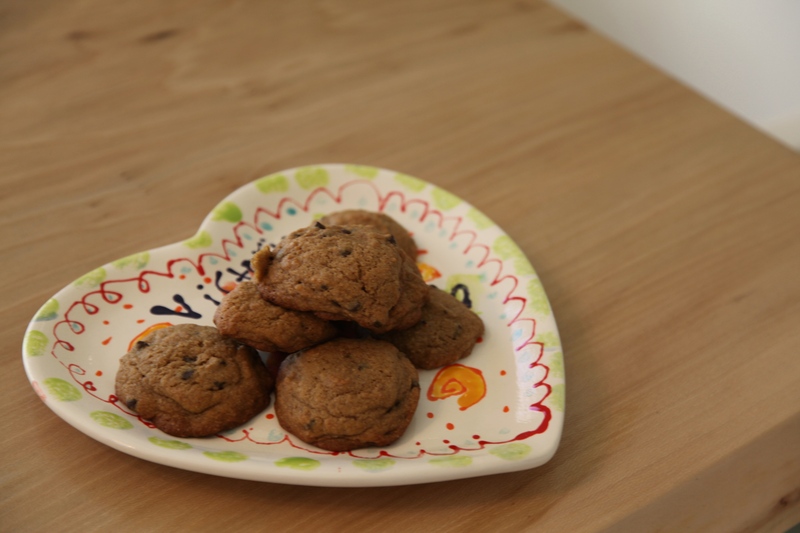 However, cookies travel better when baking with a friend. I got lots of votes for these incredible funfetti cookies and I have to admit that my inner “sophisticated palate” was silenced as I happily made these cookies and added lots of cheerful rainbow sprinkles. Anecdote about sprinkles: My grandparents, my mom and I went to go get Carvel soft ice cream on our last night in Bronxville, where my grandparents live. I ordered a swirl with chocolate sprinkles, as per my custom. As we walked back to the car, my mom commented on the artificiality of sprinkles. My grandfather looked at her and said “But aren’t sprinkles just little chopped up nuts?” We cracked up. Maybe this isn’t funny, you guys let me know in the comments. Anywhoo, these cookies are incredible. 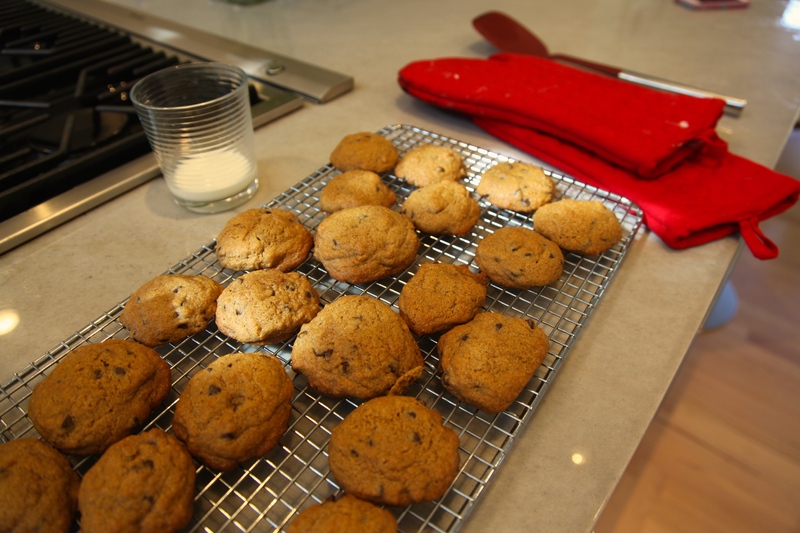 A revamped recipe from fave blogger Sally at Sally’s Baking Addiction, this is sure to become a Migdal-Thorp-Rentz classic. You could use red and green sprinkles at christmastime, or pink and purple sprinkles for valentine’s day, or orange and black for giants games or halloween! You get the idea. Go crazy! 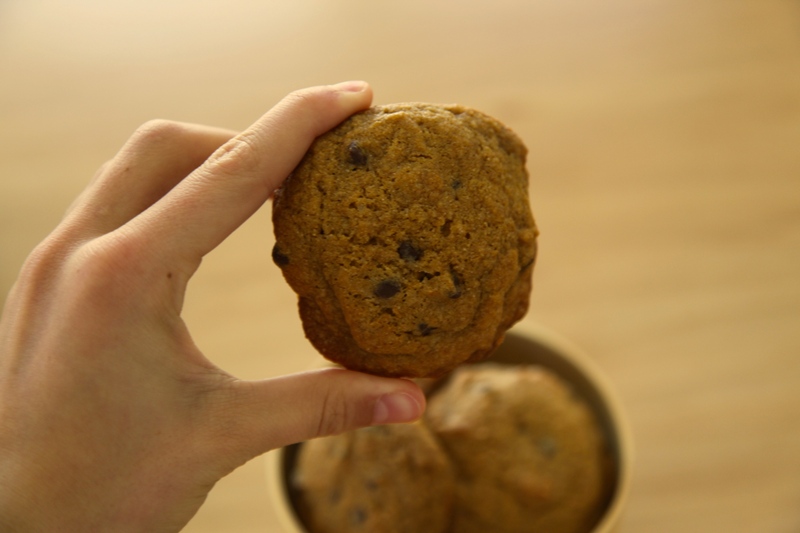 These got rave reviews from supposedly “dieting” visiting family members, so beware of these. 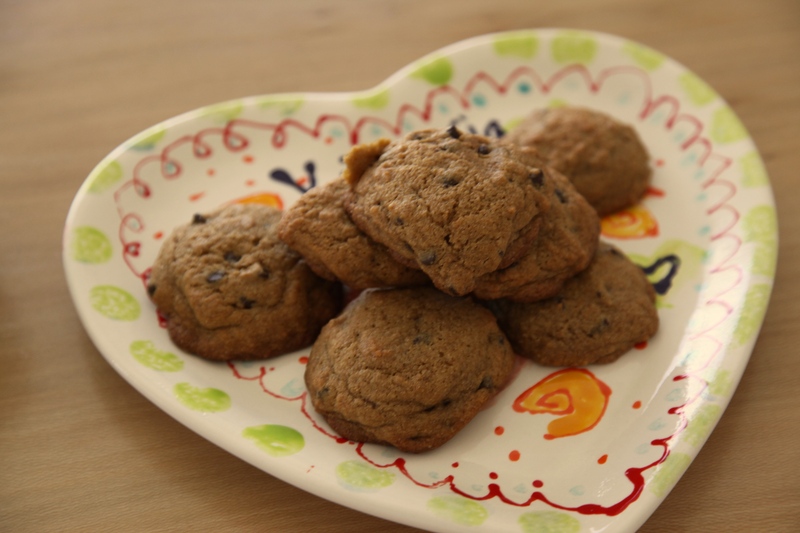 This recipe is from adapted from Sally’s Baking Addiction. Preheat oven to 350 degrees Fahrenheit. 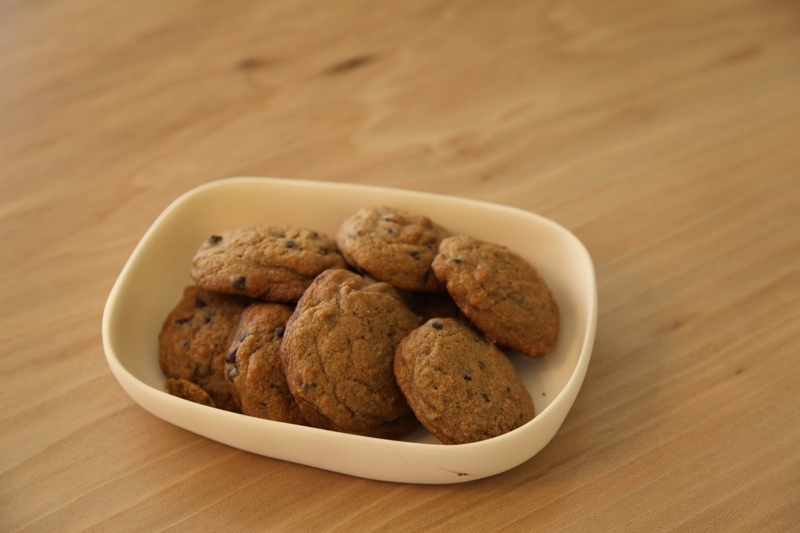 Prepare a cookie tray with a Silpat or parchment paper. Cream the butter on medium speed, then add sugar and continue creaming for about a minute. Add eggs all at once and mix until fully blended. Add vanilla. Sift flour, baking soda, cream of tartar, cornstarch and salt together. Add dry ingredients in 3 parts to slightly combine, then add sprinkles. Cover the bowl with plastic wrap, then chill for at least one hour. Scoop onto your tray. 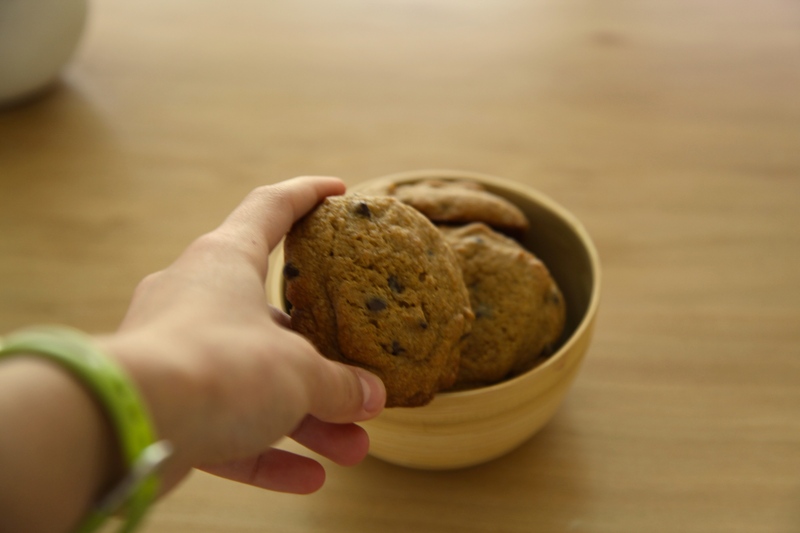 I use a 2 tablespoon cookie scoop for big cookies, or a 1 tablespoon measure for smaller ones. 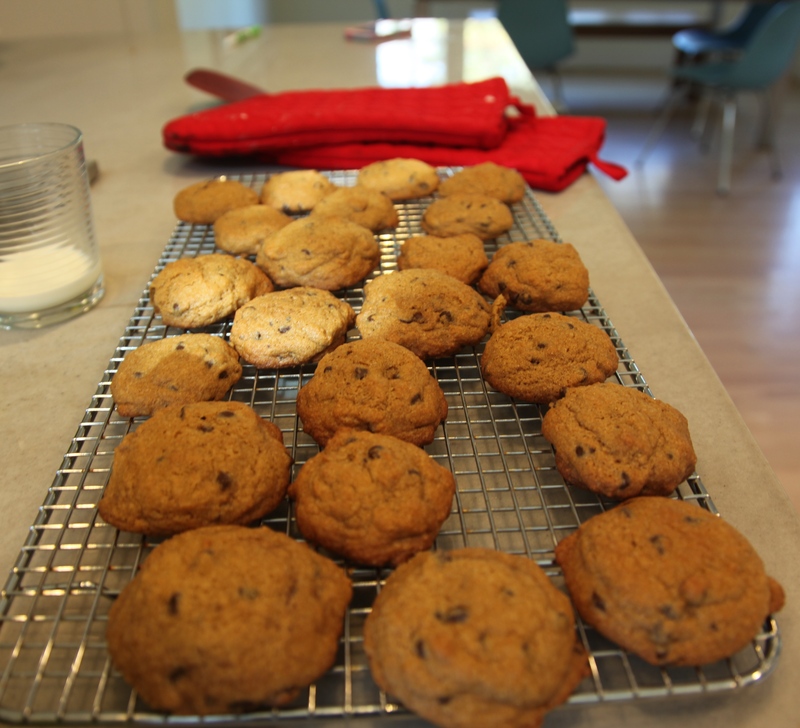 For thick cookies, try to make your cookies tall rather than wide, as per Sally’s trick. 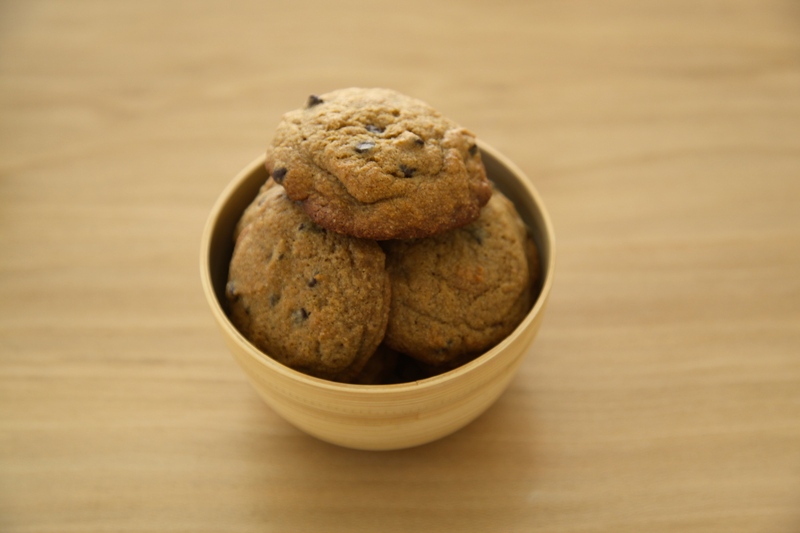 Bake for about 9 minutes for perfectly soft cookies. Enjoy! Share with friends and family or simply hide them and eat them all yourself. We won’t judge 🙂 .